Snoopy, Linus, Lucy, Charlie Brown and the rest of the Peanuts gang are back on the big screen for the first time in 35 years. With the power of Blue Sky Studios (makers of the Ice Age movies and Rio) behind them, “The Peanuts Movie” has a new 3D Computer generated look, but retains the same heart and spirit of the older films. As a child, I remember watching “It’s the Great Pumpkin Charlie Brown” around Halloween and “A Charlie Brown Christmas” before Christmas every year. As I grew older, I appreciated the complicated subject matter tackled by these movies that were for children and about children. The new Peanuts movie keeps up with that tradition. Charlie Brown deals with self-doubt, feelings of inadequacy and a great deal of adversity. He takes a lot of lumps from life, but always gets up to take another and you never stop rooting for him. In the latter years of the Peanuts comic strip, the focus shifted from Charlie Brown’s hopeful hopelessness to Snoopy’s silly antics. This movie does a good job of giving audiences both. Snoopy has a side story that is interspersed within the main story, which helps distract from the fact that Charlie Brown’s story is a fairly simple one. This Peanuts movie is very faithful to the original material. Other than the new look of the animation, it feels very much like one of the classics. Having the family of the comic strip creator Charles M. Schulz involved in the writing process no doubt helped preserve the feel of the originals, and it is evident that this movie is a labor of love. If anything, things may be a little too familiar. Charlie Brown has misadventures in pitching, he visits his five cent psychiatrist and he even tries to kick a football. During these bits, it feels a little bit like “Peanuts greatest hits”. I didn’t mind. 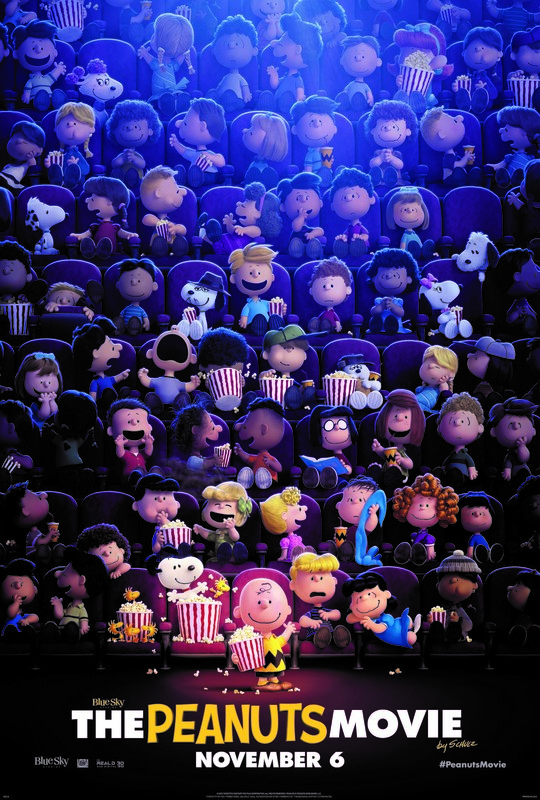 “The Peanuts Movie” will fill old fans with nostalgia while introducing the characters to a new generation. It’s a clever and wholesome movie that will be enjoyable for people of all ages. On my It’s an Ordinary Blog scale where 1 is the worst, 5 is the best, and 10 is the worst again I give “The Peanuts Movie” a 4.85234 with an emoticon based sub-ranking of: GOOD GRIEF! That was Great!